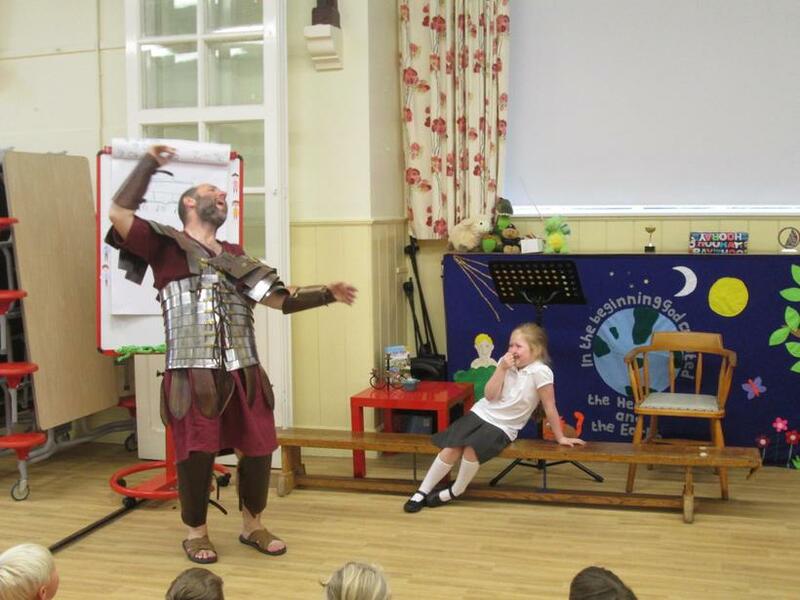 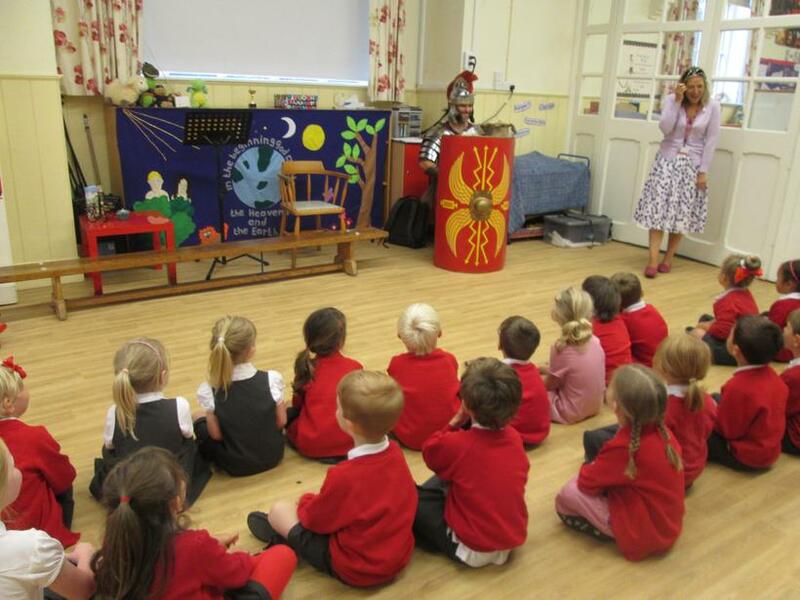 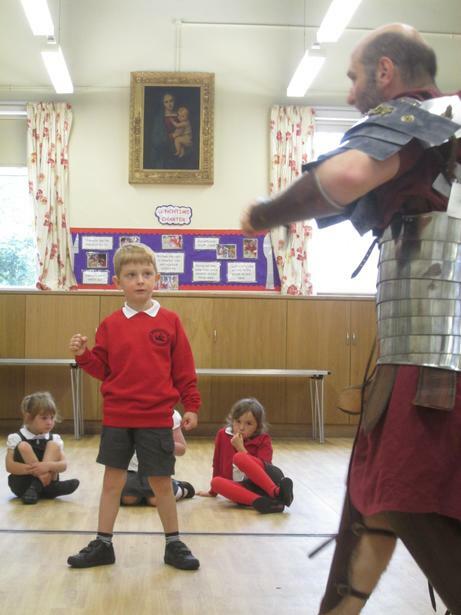 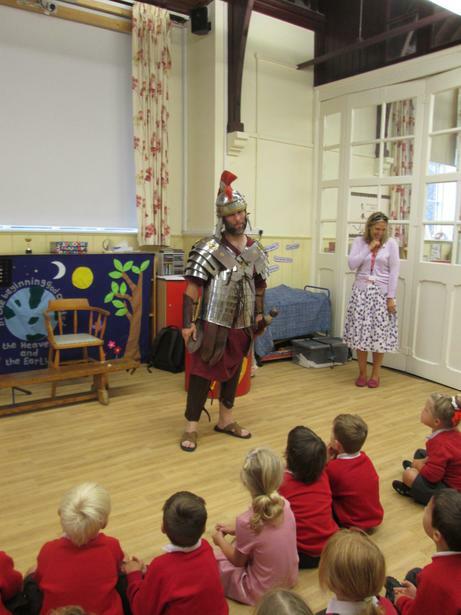 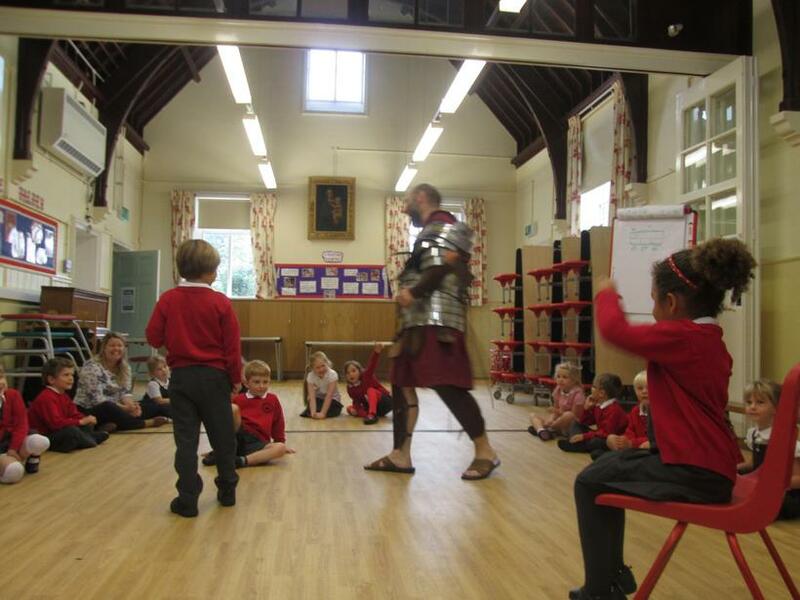 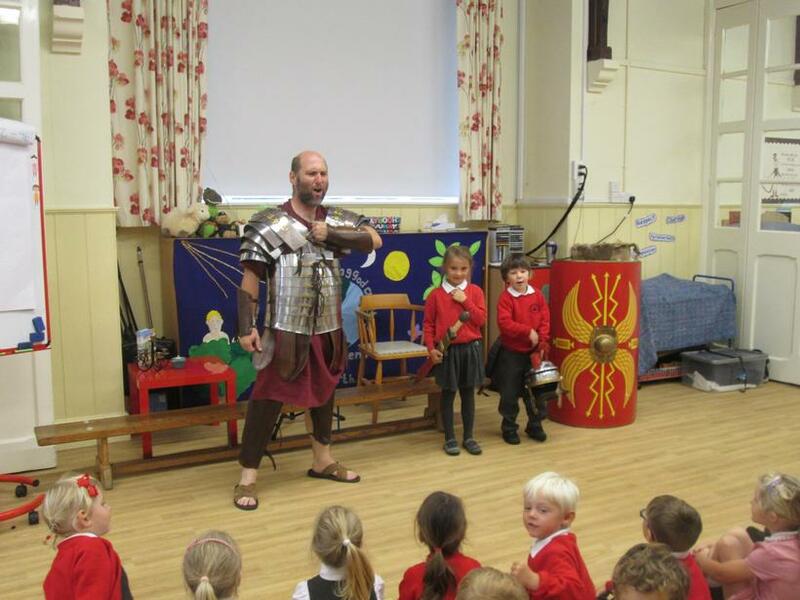 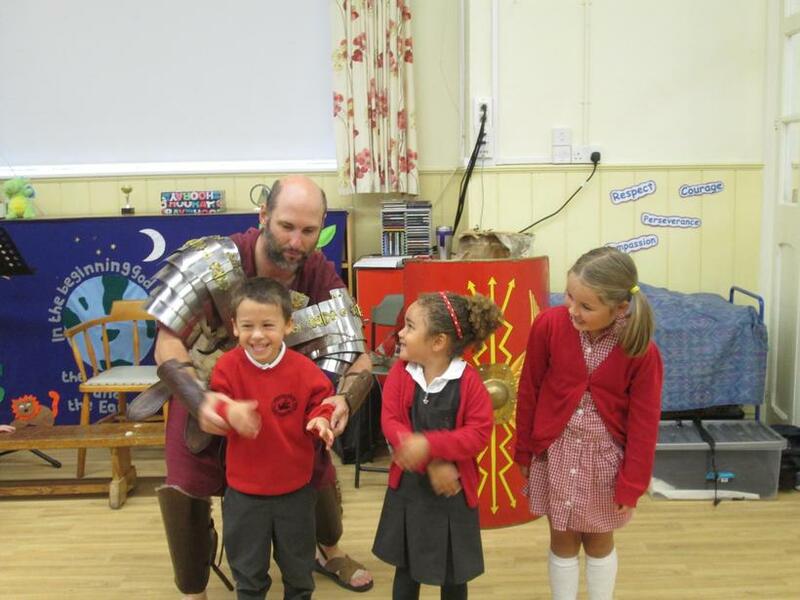 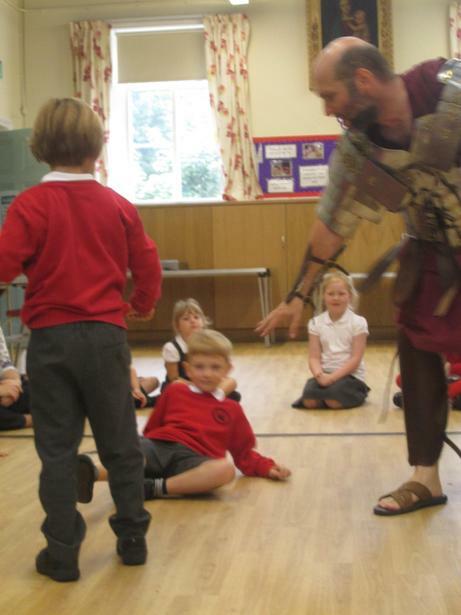 We were transported back to 72 AD where we met Felix Maximus, a Roman Gladiator! 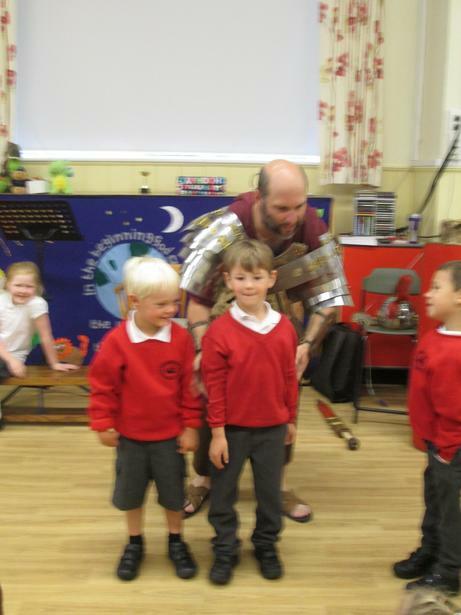 In full armour, he talked to us about life as a gladiator, displaying his weaponry and demonstrating the equipment used. 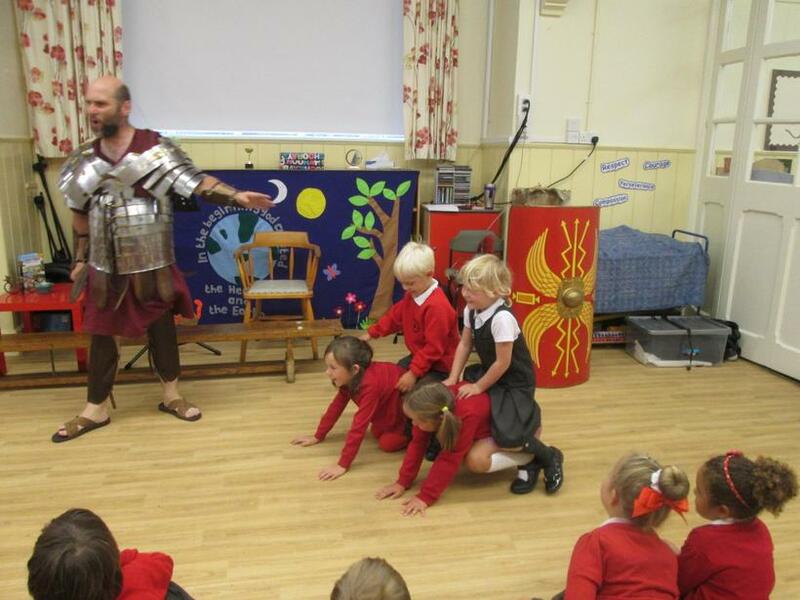 We were led through a soldiers drill and even got to take part in a mock battle and a chariot race!. 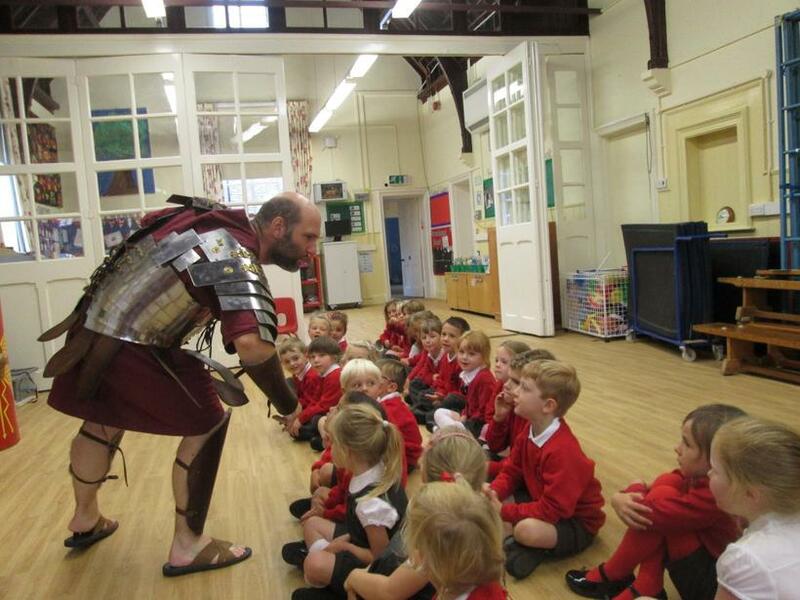 The children were fascinated to hear about the food he ate (Elephant trunks!) 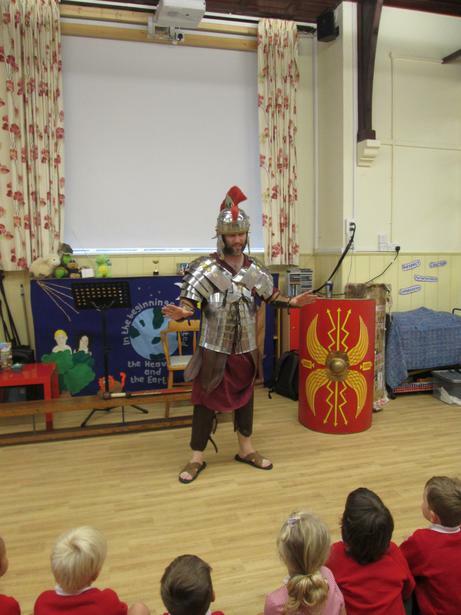 and the way he bathed. 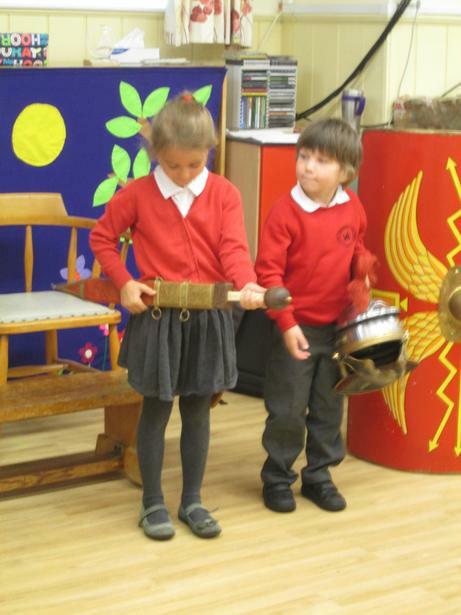 What a great start to our topic!